Ralph Lauren glasses are all inclusive, truly American in style and quality. Ralph Lauren is the most famous American designer, who for many years have been designing and manufacturing clothing USA Olympic team. The reason Ralph Lauren is synonymous with American style is because he was at the forefront of it's creation back in 70s. He created a style that was copied by even creative European designers because this is what people wanted. 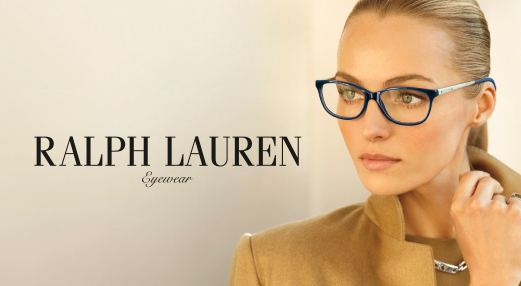 Ralph Lauren glasses are very versatile in style fitting every outfit or outfits that you may choose for the day. A bit sporty, comfortable eyeglasses are made to fit faces of every shape and size. Ralph Lauren glasses are made in many colors and sizes to fit small faces and very large faces. He is one of the few designers to make very large glasses and often is the only choice for men with large heads. Buy authentic Ralph Lauren glasses on EyeInform website. Shop with confidence to buy Ralph Lauren glasses with prescription lenses or simply just Ralph Lauren glasses frames without prescription lenses. Buy Ralph Lauren RL6178 glasses online at a friendly price. Originally made in 2018, Ralph Lauren RL6178 are lightweight plastic frames. Each pair of authentic Ralph Lauren glasses ships worldwide with Ralph Lauren glasses case and a cleaning cloth. Buy Ralph Lauren RL6177 glasses online at a friendly price. Originally made in 2018, Ralph Lauren RL6177 are lightweight plastic frames. Each pair of authentic Ralph Lauren glasses ships worldwide with Ralph Lauren glasses case and a cleaning cloth. Buy Ralph Lauren RL6176 glasses online at a friendly price. Originally made in 2018, Ralph Lauren RL6176 are lightweight plastic frames. Each pair of authentic Ralph Lauren glasses ships worldwide with Ralph Lauren glasses case and a cleaning cloth. Buy Ralph Lauren RL6175 glasses online at a friendly price. Originally made in 2018, Ralph Lauren RL6175 are lightweight plastic frames. Each pair of authentic Ralph Lauren glasses ships worldwide with Ralph Lauren glasses case and a cleaning cloth. Buy Ralph Lauren RL6174 glasses online at a friendly price. Originally made in 2018, Ralph Lauren RL6174 are lightweight plastic frames. Each pair of authentic Ralph Lauren glasses ships worldwide with Ralph Lauren glasses case and a cleaning cloth. Buy Ralph Lauren RL6173 glasses online at a friendly price. Originally made in 2018, Ralph Lauren RL6173 are lightweight plastic frames. Each pair of authentic Ralph Lauren glasses ships worldwide with Ralph Lauren glasses case and a cleaning cloth. Buy Ralph Lauren RL6172 glasses online at a friendly price. Originally made in 2018, Ralph Lauren RL6172 are lightweight plastic frames. Each pair of authentic Ralph Lauren glasses ships worldwide with Ralph Lauren glasses case and a cleaning cloth. Buy Ralph Lauren RL6171 glasses online at a friendly price. Originally made in 2018, Ralph Lauren RL6171 are lightweight plastic frames. Each pair of authentic Ralph Lauren glasses ships worldwide with Ralph Lauren glasses case and a cleaning cloth. Buy Ralph Lauren RL5101 glasses online at a friendly price. Originally made in 2018, Ralph Lauren RL5101 are lightweight metal frames. Each pair of authentic Ralph Lauren glasses ships worldwide with Ralph Lauren glasses case and a cleaning cloth. Buy Ralph Lauren RL6170 glasses online at a friendly price. Originally made in 2018, Ralph Lauren RL6170 are lightweight plastic frames. Each pair of authentic Ralph Lauren glasses ships worldwide with Ralph Lauren glasses case and a cleaning cloth. Buy Ralph Lauren RL6169 glasses online at a friendly price. Originally made in 2018, Ralph Lauren RL6169 are lightweight plastic frames. Each pair of authentic Ralph Lauren glasses ships worldwide with Ralph Lauren glasses case and a cleaning cloth. Buy Ralph Lauren RL6168 glasses online at a friendly price. Originally made in 2018, Ralph Lauren RL6168 are lightweight plastic frames. Each pair of authentic Ralph Lauren glasses ships worldwide with Ralph Lauren glasses case and a cleaning cloth. Buy Ralph Lauren RL5100 glasses online at a friendly price. Originally made in 2018, Ralph Lauren RL5100 are lightweight metal frames. Each pair of authentic Ralph Lauren glasses ships worldwide with Ralph Lauren glasses case and a cleaning cloth. Buy Ralph Lauren RL5099 glasses online at a friendly price. Originally made in 2017, Ralph Lauren RL5099 are lightweight metal frames. Each pair of authentic Ralph Lauren glasses ships worldwide with Ralph Lauren glasses case and a cleaning cloth. Buy Ralph Lauren RL5098 glasses online at a friendly price. Originally made in 2017, Ralph Lauren RL5098 are lightweight metal frames. Each pair of authentic Ralph Lauren glasses ships worldwide with Ralph Lauren glasses case and a cleaning cloth. Buy Ralph Lauren RL6166 glasses online at a friendly price. Originally made in 2017, Ralph Lauren RL6166 are lightweight plastic frames. Each pair of authentic Ralph Lauren glasses ships worldwide with Ralph Lauren glasses case and a cleaning cloth. Buy Ralph Lauren RL6165 glasses online at a friendly price. Originally made in 2017, Ralph Lauren RL6165 are lightweight plastic frames. Each pair of authentic Ralph Lauren glasses ships worldwide with Ralph Lauren glasses case and a cleaning cloth. Buy Ralph Lauren RL6164 glasses online at a friendly price. Originally made in 2017, Ralph Lauren RL6164 are lightweight plastic frames. Each pair of authentic Ralph Lauren glasses ships worldwide with Ralph Lauren glasses case and a cleaning cloth. Buy Ralph Lauren RL6163 glasses online at a friendly price. Originally made in 2017, Ralph Lauren RL6163 are lightweight plastic frames. Each pair of authentic Ralph Lauren glasses ships worldwide with Ralph Lauren glasses case and a cleaning cloth. Buy Ralph Lauren RL6162 glasses online at a friendly price. Originally made in 2017, Ralph Lauren RL6162 are lightweight plastic frames. Each pair of authentic Ralph Lauren glasses ships worldwide with Ralph Lauren glasses case and a cleaning cloth. Buy Ralph Lauren RL6161 glasses online at a friendly price. Originally made in 2017, Ralph Lauren RL6161 are lightweight plastic frames. Each pair of authentic Ralph Lauren glasses ships worldwide with Ralph Lauren glasses case and a cleaning cloth. Buy Ralph Lauren RL6160 glasses online at a friendly price. Originally made in 2017, Ralph Lauren RL6160 are lightweight plastic frames. Each pair of authentic Ralph Lauren glasses ships worldwide with Ralph Lauren glasses case and a cleaning cloth. Buy Ralph Lauren RL5097 glasses online at a friendly price. Originally made in 2017, Ralph Lauren RL5097 are lightweight metal frames. Each pair of authentic Ralph Lauren glasses ships worldwide with Ralph Lauren glasses case and a cleaning cloth. Buy Ralph Lauren RL6159Q glasses online at a friendly price. Originally made in 2016, Ralph Lauren RL6159Q are lightweight plastic frames. Each pair of authentic Ralph Lauren glasses ships worldwide with Ralph Lauren glasses case and a cleaning cloth. Buy Ralph Lauren RL6158 glasses online at a friendly price. Originally made in 2016, Ralph Lauren RL6158 are lightweight plastic frames. Each pair of authentic Ralph Lauren glasses ships worldwide with Ralph Lauren glasses case and a cleaning cloth. Buy Ralph Lauren RL6157Q glasses online at a friendly price. Originally made in 2016, Ralph Lauren RL6157Q are lightweight plastic frames. Each pair of authentic Ralph Lauren glasses ships worldwide with Ralph Lauren glasses case and a cleaning cloth. Buy Ralph Lauren RL5096Q glasses online at a friendly price. Originally made in 2016, Ralph Lauren RL5096Q are lightweight metal frames. Each pair of authentic Ralph Lauren glasses ships worldwide with Ralph Lauren glasses case and a cleaning cloth. Buy Ralph Lauren RL5095 glasses online at a friendly price. Originally made in 2016, Ralph Lauren RL5095 are lightweight metal frames. Each pair of authentic Ralph Lauren glasses ships worldwide with Ralph Lauren glasses case and a cleaning cloth. Buy Ralph Lauren RL6155 glasses online at a friendly price. Originally made in 2016, Ralph Lauren RL6155 are lightweight plastic frames. Each pair of authentic Ralph Lauren glasses ships worldwide with Ralph Lauren glasses case and a cleaning cloth. Buy Ralph Lauren RL6153P glasses online at a friendly price. Originally made in 2016, Ralph Lauren RL6153P are lightweight plastic frames. Each pair of authentic Ralph Lauren glasses ships worldwide with Ralph Lauren glasses case and a cleaning cloth. Buy Ralph Lauren RL6149P glasses online at a friendly price. Originally made in 2016, Ralph Lauren RL6149P are lightweight plastic frames. Each pair of authentic Ralph Lauren glasses ships worldwide with Ralph Lauren glasses case and a cleaning cloth. Buy Ralph Lauren RL6148 glasses online at a friendly price. Originally made in 2016, Ralph Lauren RL6148 are lightweight plastic frames. Each pair of authentic Ralph Lauren glasses ships worldwide with Ralph Lauren glasses case and a cleaning cloth. Buy Ralph Lauren RL6145 glasses online at a friendly price. Originally made in 2016, Ralph Lauren RL6145 are lightweight plastic frames. Each pair of authentic Ralph Lauren glasses ships worldwide with Ralph Lauren glasses case and a cleaning cloth. Buy Ralph Lauren RL6144 glasses online at a friendly price. Originally made in 2015, Ralph Lauren RL6144 are lightweight plastic frames. Each pair of authentic Ralph Lauren glasses ships worldwide with Ralph Lauren glasses case and a cleaning cloth. Buy Ralph Lauren RL6143 glasses online at a friendly price. Originally made in 2015, Ralph Lauren RL6143 are lightweight plastic frames. Each pair of authentic Ralph Lauren glasses ships worldwide with Ralph Lauren glasses case and a cleaning cloth. Buy Ralph Lauren RL6141 glasses online at a friendly price. Originally made in 2015, Ralph Lauren RL6141 are lightweight plastic frames. Each pair of authentic Ralph Lauren glasses ships worldwide with Ralph Lauren glasses case and a cleaning cloth. Buy Ralph Lauren RL6140 glasses online at a friendly price. Originally made in 2015, Ralph Lauren RL6140 are lightweight plastic frames. Each pair of authentic Ralph Lauren glasses ships worldwide with Ralph Lauren glasses case and a cleaning cloth. Buy Ralph Lauren RL6139 glasses online at a friendly price. Originally made in 2015, Ralph Lauren RL6139 are lightweight plastic frames. Each pair of authentic Ralph Lauren glasses ships worldwide with Ralph Lauren glasses case and a cleaning cloth. Buy Ralph Lauren RL6138 glasses online at a friendly price. Originally made in 2015, Ralph Lauren RL6138 are lightweight plastic frames. Each pair of authentic Ralph Lauren glasses ships worldwide with Ralph Lauren glasses case and a cleaning cloth. Buy Ralph Lauren RL6136 glasses online at a friendly price. Originally made in 2015, Ralph Lauren RL6136 are lightweight plastic frames. Each pair of authentic Ralph Lauren glasses ships worldwide with Ralph Lauren glasses case and a cleaning cloth. Buy Ralph Lauren RL6135 glasses online at a friendly price. Originally made in 2015, Ralph Lauren RL6135 are lightweight plastic frames. Each pair of authentic Ralph Lauren glasses ships worldwide with Ralph Lauren glasses case and a cleaning cloth. Buy Ralph Lauren RL6134 glasses online at a friendly price. Originally made in 2015, Ralph Lauren RL6134 are lightweight plastic frames. Each pair of authentic Ralph Lauren glasses ships worldwide with Ralph Lauren glasses case and a cleaning cloth. Buy Ralph Lauren RL6133 glasses online at a friendly price. Originally made in 2015, Ralph Lauren RL6133 are lightweight plastic frames. Each pair of authentic Ralph Lauren glasses ships worldwide with Ralph Lauren glasses case and a cleaning cloth. Buy Ralph Lauren RL6129 glasses online at a friendly price. Originally made in 2015, Ralph Lauren RL6129 are lightweight plastic frames. Each pair of authentic Ralph Lauren glasses ships worldwide with Ralph Lauren glasses case and a cleaning cloth. Buy Ralph Lauren RL6128 glasses online at a friendly price. Originally made in 2015, Ralph Lauren RL6128 are lightweight plastic frames. Each pair of authentic Ralph Lauren glasses ships worldwide with Ralph Lauren glasses case and a cleaning cloth. Buy Ralph Lauren RL6127P glasses online at a friendly price. Originally made in 2015, Ralph Lauren RL6127P are lightweight plastic frames. Each pair of authentic Ralph Lauren glasses ships worldwide with Ralph Lauren glasses case and a cleaning cloth. Buy Ralph Lauren RL6109 glasses online at a friendly price. Originally made in 2015, Ralph Lauren RL6109 are lightweight plastic frames. Each pair of authentic Ralph Lauren glasses ships worldwide with Ralph Lauren glasses case and a cleaning cloth. Buy Ralph Lauren RL5089 glasses online at a friendly price. Originally made in 2015, Ralph Lauren RL5089 are lightweight metal frames. Each pair of authentic Ralph Lauren glasses ships worldwide with Ralph Lauren glasses case and a cleaning cloth. Buy Ralph Lauren RL6062 glasses online at a friendly price. Originally made in 2012, Ralph Lauren RL6062 are lightweight plastic frames. Each pair of authentic Ralph Lauren glasses ships worldwide with Ralph Lauren glasses case and a cleaning cloth. Buy Ralph Lauren RL6058 glasses online at a friendly price. Originally made in 2012, Ralph Lauren RL6058 are lightweight plastic frames. Each pair of authentic Ralph Lauren glasses ships worldwide with Ralph Lauren glasses case and a cleaning cloth. Buy Ralph Lauren RL6056 glasses online at a friendly price. Originally made in 2012, Ralph Lauren RL6056 are lightweight frames. Each pair of authentic Ralph Lauren glasses ships worldwide with Ralph Lauren glasses case and a cleaning cloth.